Concrete contractors do a lot more than pour driveways and patios. They also manufacture a myriad of useful and decorative precast products. For instance, Childers Concrete, the premier concrete contractor in High Point, NC, creates livestock feeder and water troughs for use on farms and ranches throughout the state. Below, they explain why concrete is an ideal material for a livestock trough. Concrete is exceptionally durable and weather-resistant. Concrete won't deteriorate over time—like wood—or rust—like metal. You can expect a concrete livestock trough to last for decades or longer, if it’s well-maintained. The weight of concrete prevents your animals from accidentally tipping over their trough. This gives them constant access to feed or water and keeps them happy and healthy, allowing you to put your attention to other areas of your property. Concrete livestock water troughs are designed with animal safety in mind. They are often shaped like a bath, featuring rounded corners and no jagged edges, so there is nothing to injure your animals. You can place a concrete water trough anywhere, indoors or out. While it fits in a barn, it's also equally at home out in a pasture. 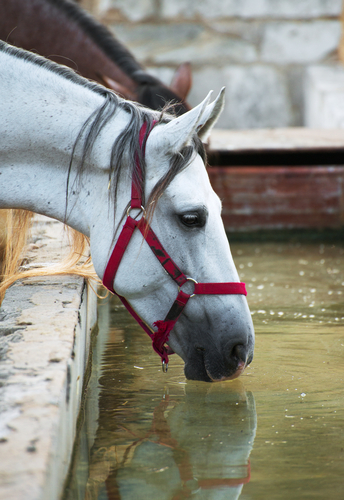 They come in numerous sizes, so you can find an appropriate concrete water or feed trough for goats, cows, horses, or any other type of livestock. To purchase one or more concrete livestock troughs, contact Childers Concrete in High Point. They've been serving farms and businesses throughout the Triad Area since 1946. In addition to manufacturing precast products, the concrete contractors also pour driveways, patios, and slabs. Like them on Facebook for up-to-date news and information, visit them online to learn more about their services, or call (336) 841-3111 to discuss your needs with a friendly concrete contractor today.